In high school, I did a pre-college program at the Corcoran in D.C. and created 3 pinhole cameras 2 from coca-cola cans and one from a pringles can. 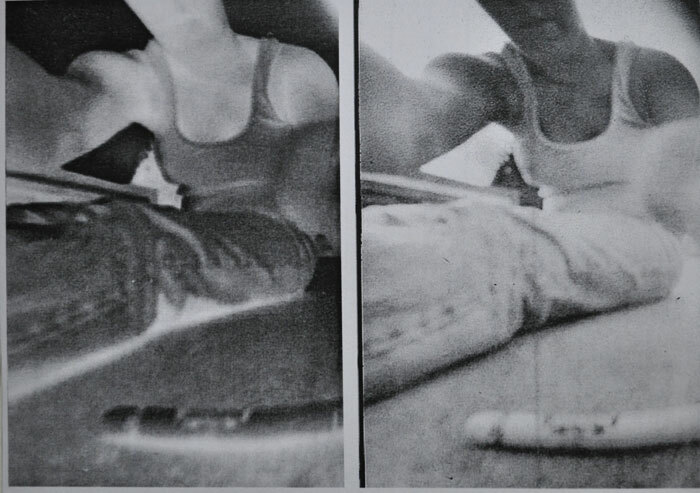 Then I shot series upon series of pinhole images. Here is a self portrait of me on the ground. If you’ve never made a pinhole, they are super easy and a lot of fun! Learn how here.